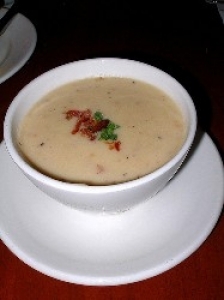 Have you made Canadian Cheddar Soup? 1. 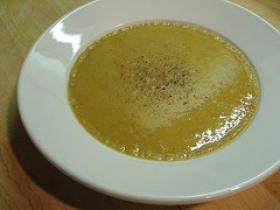 Salt In a heavy saucepan, melt butter, cook onion, carrot, and celery for about 5 minutes or until tender; do not brown. 2. Stir in flour, mustard, nutmeg and pepper; cook for 2 to 3 minutes. 3. Stir in chicken stock; simmer for about 20 minutes or until vegetables are tender. 4. 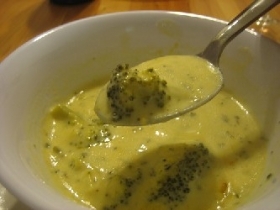 If desired, puree until smooth in blender or food processor. 5. Add cream and milk or beer and bring almost to a boil. 6. 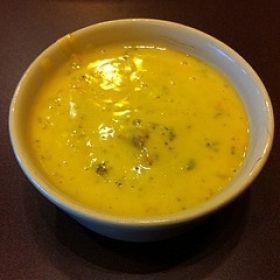 Add cheese; heat until just melted, stirring constantly. 7. Add Worcestershire and a little salt. 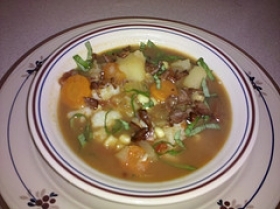 Great soup! My kids loved it! I followed the recipe but didnt have cream just milk so I thickened it with a little extra flour and came out great. Used beer in the milk/beer option. This recipe is high in Vitamin A with 38% of your daily recommended intake per serving. This recipe contains potential food allergens and will effect people with Wheat, Milk, Butter, Gluten, MSG, Poultry, Cheese, Malt, Mustard, Celery, Onion allergies.